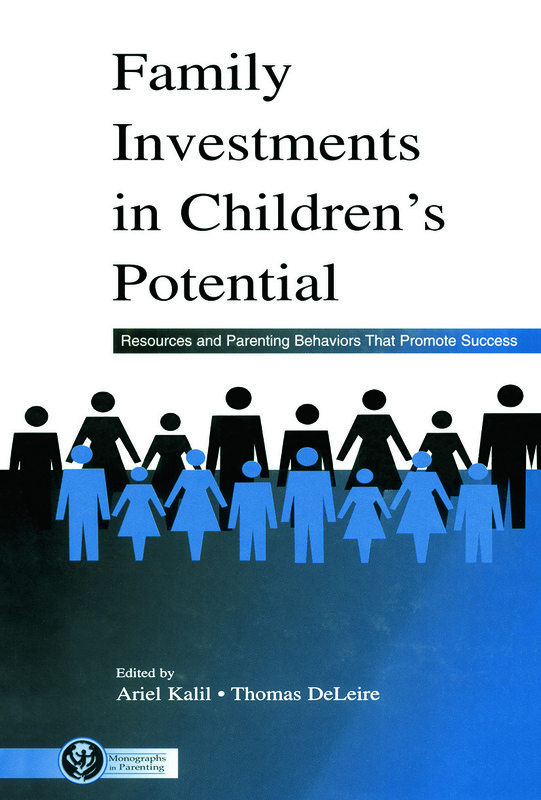 The papers in this volume bring together a cross-disciplinary mix of researchers--developmental psychologists, evolutionary biologists, economists, anthropologists, and sociologists--working on the common theme of investments in children. The interdisciplinary conceptual framework adopted by this collection of papers is loosely built around the idea that there are two broad dimensions of parental investments. These include resources (e.g., income, wealth) on the one hand, and behaviors (e.g., parental instrumental support and parental activities that promote warmth, socialization, and cognitive stimulation) on the other. Believing that parental investments yield a "return" in improved child and young adult outcomes, the papers discuss how parents differ in terms of the resources they have available to invest, the choices parents make, the behaviors they engage in, and relevant policy and program interventions. More specifically, core questions addressed by the authors include: Why do some families invest while others do not and are differential investment patterns related to biology, economics, or social factors? What constitutes a successful "investment portfolio?" How are "investments" measured and/or characterized? Are different investments interchangeable, compensating, or off-setting? Given a set of resources, why are some families able to make more effective investments in child outcomes? How well do these investments affect outcomes for children and for these children as young adults? Can interventions or public policies help families build assets or become "better" investors in their children's potential? Developing a better understanding of what investments matter, when they matter, and how resources can be successfully invested in children's potential is key to shaping efficient interventions and social policies. Knowledge of how parents invest and what strategies are effective may help policies which seek to further empower and enable parental involvement and choice for their children.